Don't overlook these surprising nutritional powerhouses. The grocery store is a lot like high school. 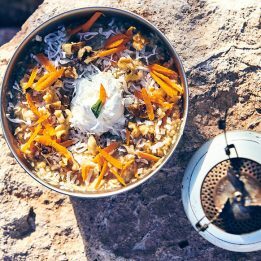 In one camp you have your popular foods, the edibles that get all the love for their good looks, perfect reputation and nutritional brawn. Everybody wants to be associated with them—you know, the ones we call “superfoods”—the blueberries, salmon, chia and beets that so often overshadow less popular foods. Yet, like the nerdy kid in 10th grade, many foods cast aside for the latest Amazonian fruit du jour can have huge potential. Science has demonstrated that there are a number of less flashy, and often less pricey, foods that contain an abundance of high-powered nutrients or antioxidants. In the spirit of standing up for the little guy, we sussed out seven “wallflowers” to add to your shopping list. Wheat germ, the flaky cast-off from the process that transforms whole-wheat flour into nutritionally lackluster refined flour, is actually the most nutritious part of the grain. Among its plethora of nutrients are the antioxidants selenium and vitamin E, which help protect muscle cells from exercise-induced free-radical damage, potassium to assist with muscle contraction, B vitamins or energy production and immunity-boosting zinc. It’s also a surprisingly good source of protein, with each quarter cup providing seven grams of this muscle builder. > Sneak it in: Toss wheat germ into your baked goods, pancake batter, oatmeal and post-run recovery shakes. Also use it in recipes like meatloaf instead of bread crumbs. 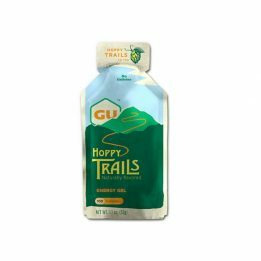 greater antioxidant capacity than honey, maple syrup, corn syrup, refined sugar and agave, according to a Journal of the American Dietetic Association study. Though refined sugars are devoid of nutrients, this viscous sweetener contains iron, calcium, potassium, manganese, selenium and magnesium. Molasses is the concentrated byproduct of the process that turns sugar cane into table sugar, so it contains many of the antioxidants and minerals of the original plant. 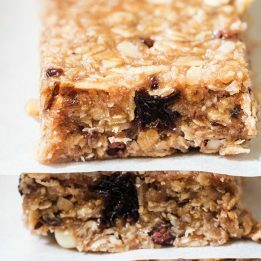 > Sneak it in: molasses can gussy up muffins, cookies, pancakes, smoothies, baked beans and homemade granola or barbecue sauce. Or combine it with lemon juice and ginger to make a glaze for chicken and tofu. of vitamin C. A review of studies conducted by Finnish and Australian researchers determined that higher intakes of vitamin C can help prevent runners from developing a cold. What’s more, a 2012 study published in the journal Nutrition determined that taking in more vitamin C can reduce heart rate during exercise, which may make your runs seem less arduous. Plus, vitamin C promotes healthy blood pressure. > Sneak it in: The key to eating broccoli stalks is to peel off the fibrous skin to expose the tender flesh. The chopped stalks make a good addition to stir-fries, salads and chili. or slice into quarter-inch sticks and enjoy with your favorite dip. in favor of the moo variety. A study in the Journal of Food Composition and Analysis compared the nutritional makeup of cow and goat milk from animals raised under similar conditions and found that the horned version contained more heart-healthy omega-3 fats and the bone-building trio calcium, phosphorus and magnesium. Why? Goat milk contains a larger amount of solids, which are where the nutrients are found. What’s more, differences in protein structure make goat milk easier to digest than cow milk. in smoothies, cereal, quiches, puddings, creamy soups or a mug of hot chocolate. are so low in calories yet provide a lot of meaty bulk to dishes, they’re great for helping runners maintain their race weight. Further, a Journal of Agricultural and Food Chemistry study reported that they can be a dietary source of bacteria-derived vitamin B12, which is important for vegan runners, as it’s difficult to find in plant sources. > Sneak it in: Button mushrooms are a stellar addition to omelets, pasta dishes, pizzas, burgers, lasagna, stir fries, stews, soups and chili. Or simply roast them with some herbs and olive oil. Popcorn is perhaps the best snack food nobody is eating, save for at the movies when it often becomes an overpriced calorie bomb. Food scientists at the University of Scranton recently discovered that popcorn has an antioxidant capacity on par with that of fruits and vegetables. Higher intakes of such antioxidants may help your muscles mend quicker after a hard run. 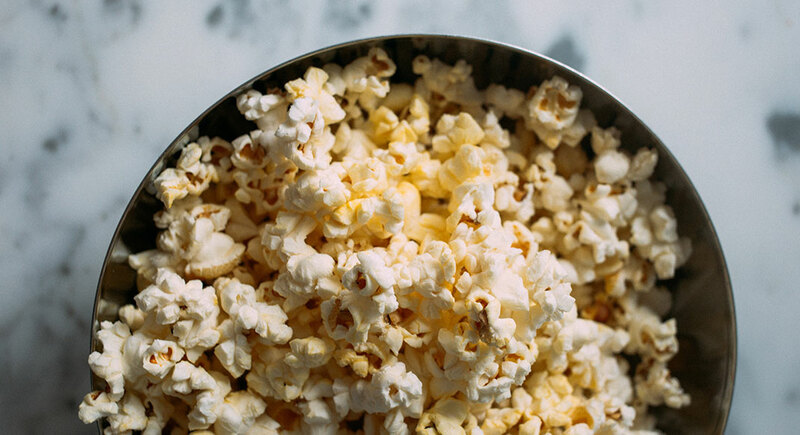 Full of air, popcorn is also a high-volume, low-calorie food that tricks your brain into thinking you have eaten more calories than you have. The visual stimulation of seeing a big bowl of food can help silence hunger. Also, three cups of air-popped popcorn, a mere 93 calories, counts as one daily whole-grain serving. > Sneak it in: Pop plain popcorn (corn should be the only ingredient) on the stovetop or in an air popper and jazz it up with a variety of toppings such as smoked salt, cayenne pepper, curry powder, lime zest, shaved Parmesan cheese or even grated dark chocolate. Biting into a chicken breast awards you with gobs of muscle-friendly protein but the savorless flavor may leave you looking to fly the coop. Enter succulent chicken thighs. Not only are thighs and other dark cuts of poultry easier on the wallet, the darker meat is juicier and less prone to drying out during cooking. And contrary to popular doctrine, dark chicken meat is just as healthy as the over-hyped breast, with only one extra gram of saturated fat but more energizing iron and immunity-enhancing zinc. > Sneak it in: Roast chicken thighs at 375°F for 20 minutes or until an internal temperature of 165°F is reached. Then top with a salsa or fruit-based compote. Or slowly simmer thighs over medium-low heat for one hour in a liquid braising mixture such as chicken broth, soy sauce, rice wine, fresh ginger and star anise.